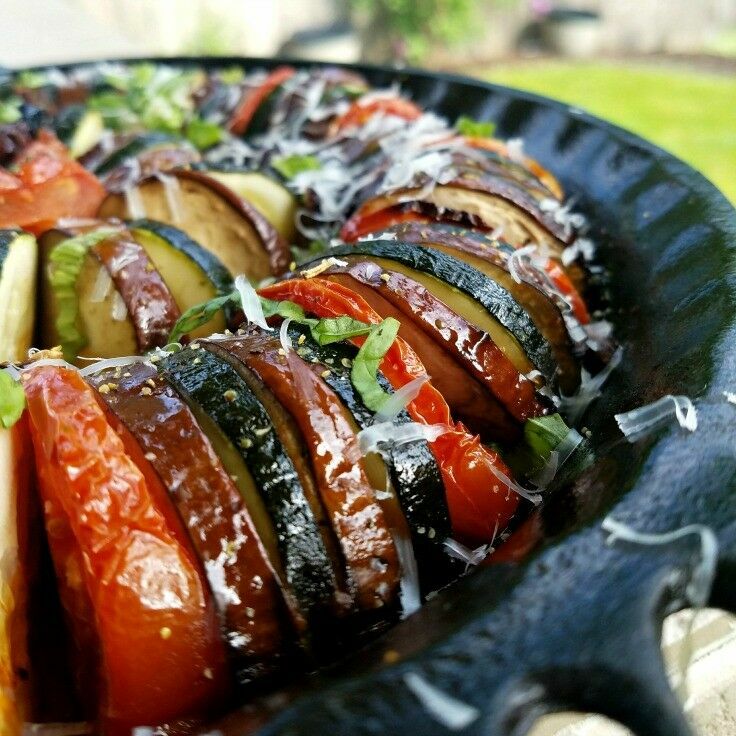 Your ratatouille looks nothing like the kind my Mom used to can in mass quantities every summer. I think if it had, I’d have liked it! This looks delish! Haha! Thanks, Lisa. Everyone seems to do it a little differently, for sure! Wow – it’s as beautiful as it is delicious! This is one of my favourite summer time dishes. Perfect with a big pan of spaghetti. This looks so colorful and absolutely delicious. I actually have some zucchini that I need to use so now I know what I’m making..Yum! 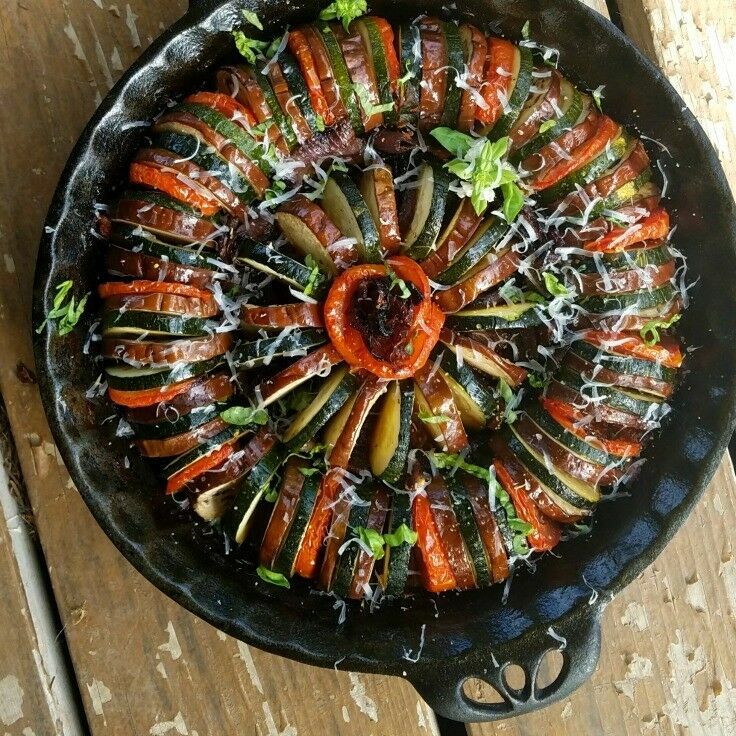 This ratatouille looks so unique and delicious! 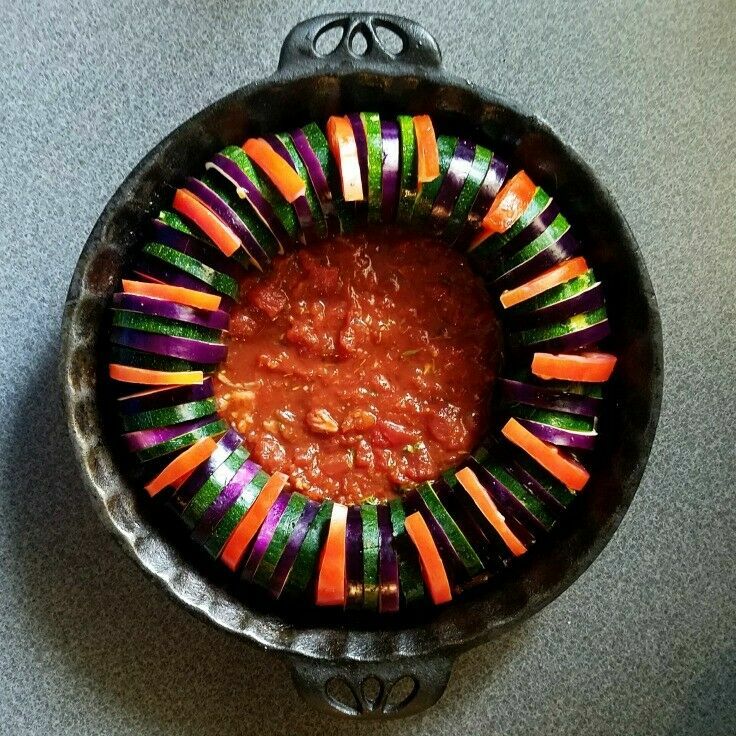 We used to have ours just mixed all together but I love the presentation of your recipe and want to try it asap!! 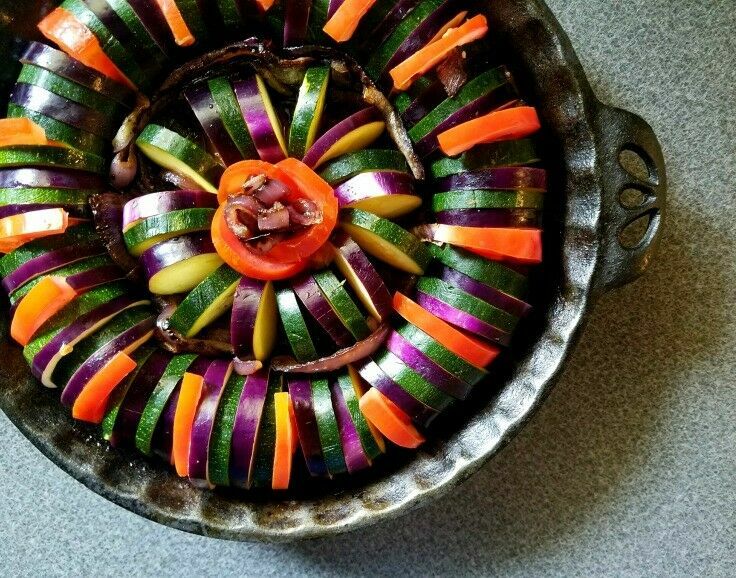 Your ratatouille looks beautiful! 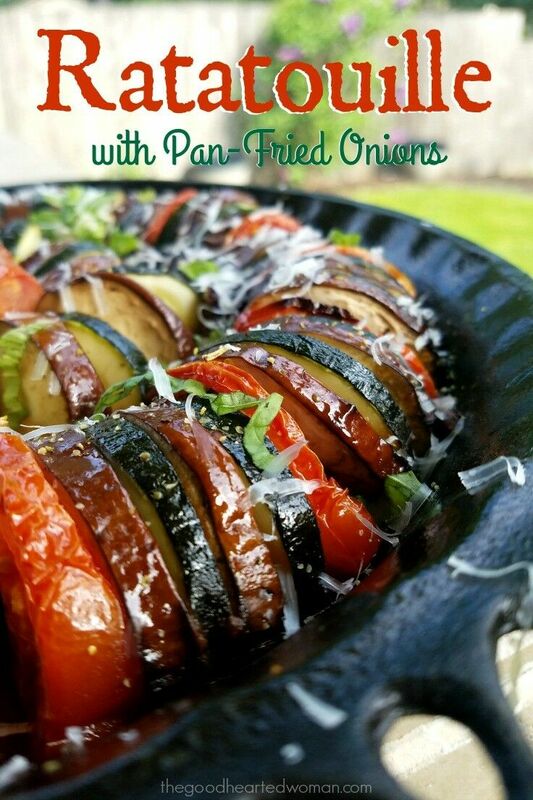 What a great way to use summer garden veggies. 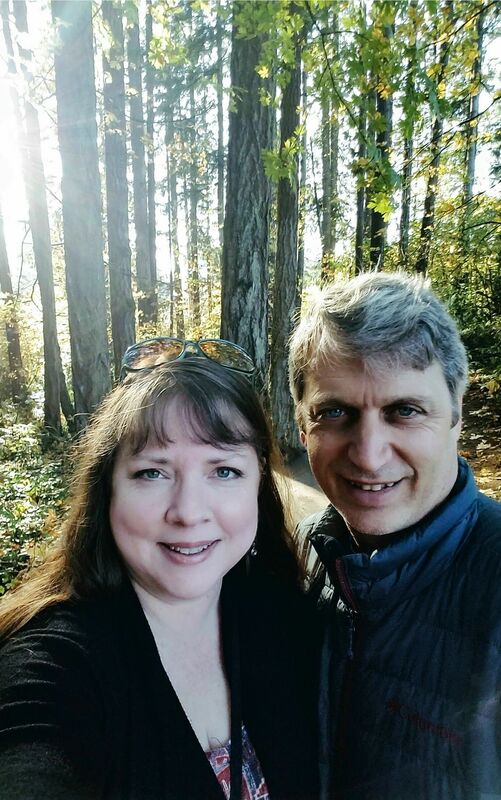 Thank, Marlynn  The early veggies at Farmers Markets are starting to come on, and it make me so happy! 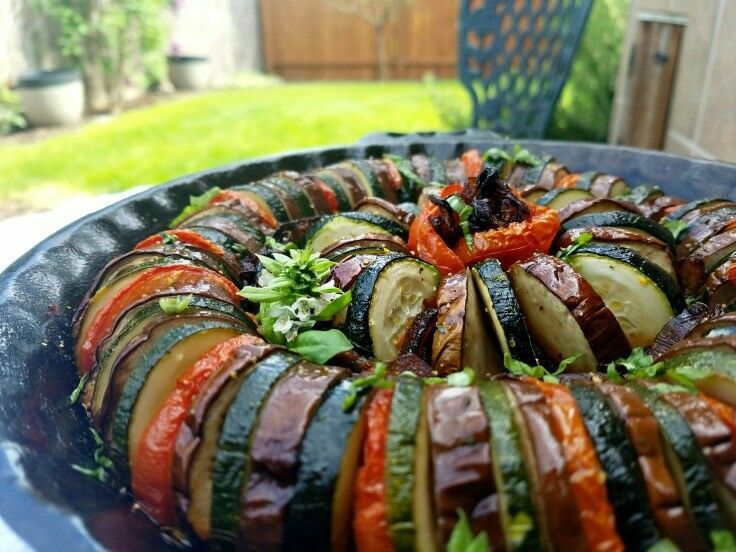 What a delicious dish just in time for Summer. 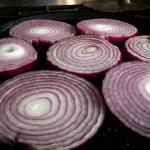 This would be so great with any grilled meat. This dish looks absolutely gorgeous! I bet it’s super tasty as well! This is so beautiful and the colours are amazing, Pinning this for reference.